This paper calculates savings from renting compared with owning a house purchased at the peak housing bubble years of 2006 or 2007 in 16 major metropolitan areas. (The appendix includes calculations for 100 cities, including these 16.) The analysis calculates the savings both before- and after-tax, allowing readers to see the impact on ownership costs of the mortgage interest and property tax deductions. Many of the homeowners currently facing foreclosure would likely be able to afford the market rent on their home. If Congress were to temporarily alter the foreclosure laws to allow foreclosed homeowners to remain in their homes as renters, it is likely that many would chose to take advantage of this opportunity. This path would offer savings for former homeowners, as well as help stabilize families and communities that are blighted by foreclosures. 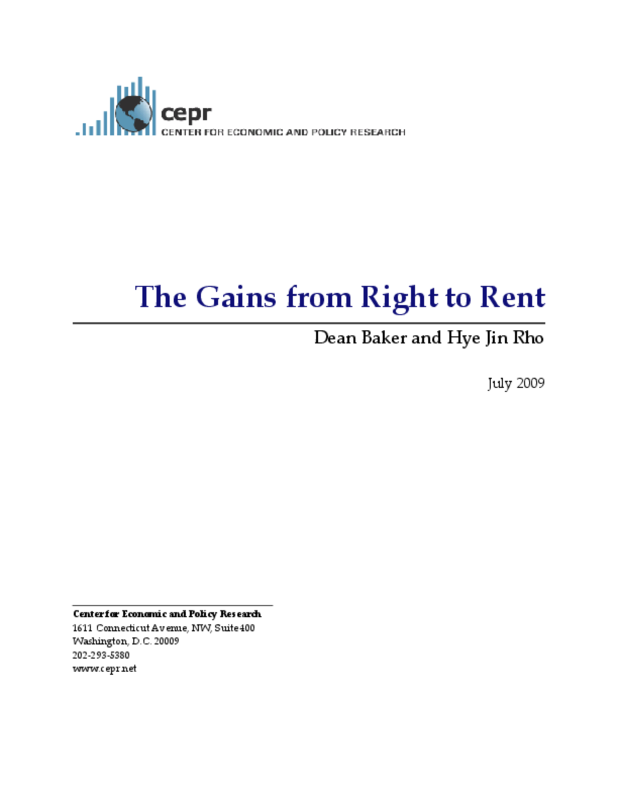 In addition, Right to Rent offers the advantage that it could immediately benefit all homeowners facing foreclosure without any bureaucracy and would require no taxpayer dollars.